I use two kinds of powder to set my makeup. Either a powder with medium to full coverage for days that I feel my skin needs to look as flawless as possible, or a powder that’s sheer or translucent just for the purpose of setting my liquid base. The latter is what I use for most days. I prefer working with pressed powder too as it’s easier to control the amount you want and there tends to be less mess and wastage. Loose powders, if they’re not very finely milled and/or translucent, can easily cling to the drier areas of my face and blending them out once they’re there is a nightmare. 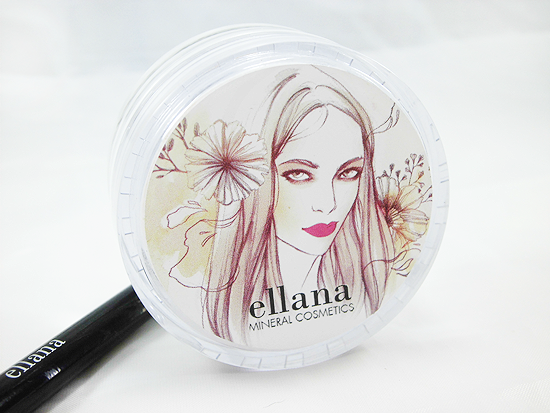 There is a loose powder I have made an exception for though, and that’s the Sheer Velvet Mineral Finishing Powder from Ellana Mineral Cosmetics. 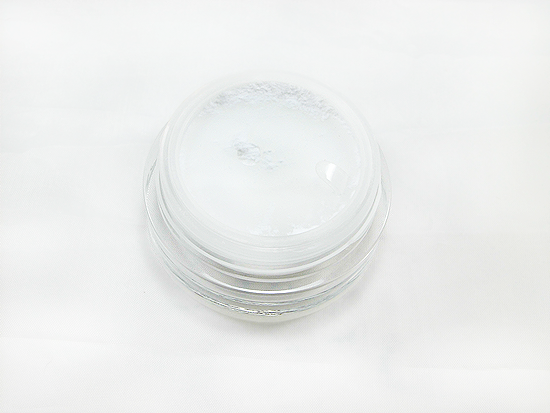 The powder comes in a sturdy, acrylic jar with a twist-off cap that holds around 6 grams of product. It’s a little chunky, but still quite small so it thankfully doesn’t take up much space. The beautiful illustration was done by the talented Soleil Ignacio who I had the privilege of meeting at the first Ellana event I attended last year. Her work was used for all the re-vamped packaging of Ellana products, actually. If you’re not familiar with Ellana Mineral Cosmetics, it’s a local brand founded by professional makeup artist Theresa Carbonel and was one of the first cosmetic brands to introduce and popularize mineral makeup in the Philippines. 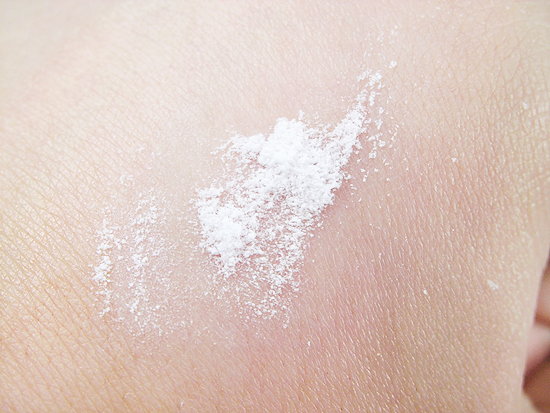 The powder is composed of three ingredients: silicon dioxide (or silica), nylon-12, and polymethylsiloxane. Nylon-12 is a common ingredient in setting powders because it helps smooth out skin, whereas silicon dioxide has light-diffusing and oil-absorbing properties. Silica makes makeup easy to spread too, which is why I like primers with a high amount of silica because they’re a dream to blend out. Many people are allergic to silica though, so do be careful when trying this out if you think you’re one of those people. The product is dispensed via a hole in the plastic separator you see once you remove the cap. The hole is quite large though which means a lot of powder very easily spills out of it once you remove the protective tape from it, especially if it’s been tumbling around inside your bag. I often have to be very careful when opening the jar because so much powder gathers on the separator which I have to pour back into the jar itself. I do love how sturdy and pretty the jar is, but I highly recommend moving the powder to a different container, preferably one with a traditional sifter whose holes you can cover with sticky tape to better control how much powder can be dispensed. The great thing with Ellana is that they sell re-fills of this product so that you don’t need to purchase a whole new jar every time and can just re-fill your own choice of container. The powder itself is very lightweight and finely milled. As in crazy fine! It’s without a doubt the softest, most cushy powder I’ve ever used. In fact, it’s so fine that other beauty bloggers like Martha from The Beauty Junkee actually experienced dryness in her throat from the powder particles, most likely from inhaling a bit of while applying. Because it’s translucent, it has no coverage and can of course be used on any skin tone. Just make sure to blend well, especially if you have a warmer or deep complexion, because if it’s still kind of ‘sitting’ on the skin then it can cause some flashback. The same goes for if it settles into lines or creases. Now Ellana is all about promoting ‘poreless perfection’, and on the back of my hand you can already see the powder blurring out the lines even when it’s not fully blended out. It works the same with my pores. I have really big pores, so unfortunately it doesn’t make them seem nearly invisible like with others, but it certainly does minimize them in a jiffy. An interesting fact about this powder is that it’s also marketed as a primer. Yes, a primer! I know, it seemed weird to me to at first. How the heck can you use a powder as a primer? When I think of a primer I always think of something that’s liquid or gel in form. But remember how I mentioned nylon-12 smooths out skin and silicon dioxide absorbs oil? That’s how this powder preps your skin, by smoothing it out and absorbing any of your natural oils or residual oil from your skin care products. I haven’t tried it out as a primer yet, but I can definitely see how it would be effective as one because this instantly mattifies my skin once I dust it on and does make my face feel a little smoother. For this look, which I wore to the Benefit Beauty & Brows party last month, I set my makeup with the Sheer Velvet Mineral Finishing Powder. The powder offers decent oil control. I usually get an extra hour or so before I have to blot or retouch with it, so if you naturally have oily skin you’ll still need to make sure you use a good, mattifying product of your choice along with the powder. Either that or just retouch often. One of the best things I like about this powder is that it doesn’t get all gross or cakey when you apply it directly on top of oily skin. You can leave your blotting paper behind as long as you’ve got this in your makeup bag! Overall, I really love this powder! 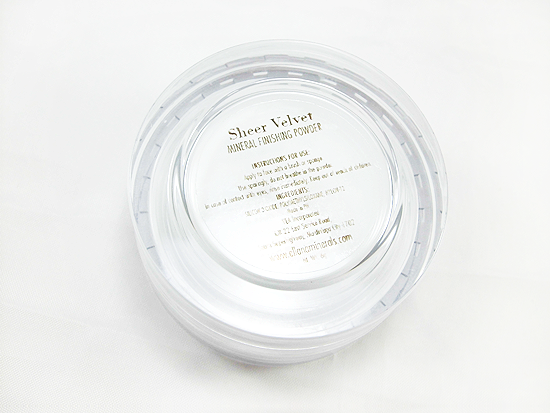 Despite the could-be-better oil control, it’s easily a good and more affordable alternative to the high-end translucent powders out there. I love its texture and consistency, its pore minimizing properties, and the fact that it’s so easy to blend out and use. Plus it doesn’t cling onto or emphasize any dry patches on my face! It’s a no-fuss product. I wish it helped my makeup last longer, but maybe that would make this powder too good to be true. Haha. If you want to try it out for yourself, head over to any Ellana Mineral Cosmetics counter (check their website for locations) or order through their website using THIS link. Since I’m an Ellana Beauty Advocate, I’m providing my affiliate link which gives me a small commission if you order using it, so I’d be super grateful if you do! But hey, you yourself get a 15% discount on your first product order so it’s a win-win for all! Minimizes the appearance of pores and creases or lines. Very fine, soft, and lightweight. Does not cake up even if you apply directly on top of oily skin. Smooths out skin and mops up any shine instantly. Multi-functional: can be used as a primer or setting powder. You can buy re-fills of the product. Can cause some flashback if not blended properly into the skin. Doesn’t really help my makeup last longer, despite its other function as a primer. Oil control is just okay. The packaging could be improved with the use of a traditional sifter in the jar instead. The product contains silicon dioxide/silica which many people are allergic or have negative reactions to. Disclaimer: Despite affiliation status with certain companies, I always exercise 100% honesty in my product reviews. My opinions are unbiased and based entirely on the sole performance of the product I am reviewing.